For decades, Nancie Atwell has been delighting in, loving, and looking after the words consumed and created by classrooms of middle school students. She has existed in, or maybe more accurately she has been partly responsible for creating, a world in the middle. 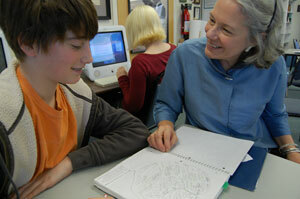 She’s taught in the middle level between the young elementary–aged child and the teen capable of critical thinking. In rooms lined with books and crowded with young writers and readers, she has padded paths between tables and mingled in the middle of words written and read. She’s stood comfortably with enthusiasm between a student and the next book he’ll devour. She has perfected putting herself in the middle of conversations with student writers. She’s happy to be the middleman to lead kids to a bridge of thinking they need to cross to take that next step. Many teachers find comfort at the front of a room, but what Nancie Atwell has discovered is the power afforded to students when a teacher subtly operates in the middle of everything. 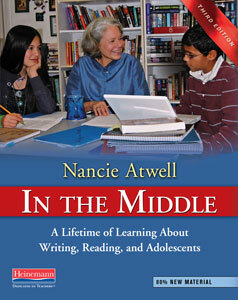 In the Middle: A Lifetime of Learning About Writing, Reading, and Adolescents (Heinemann, 2015) is Nancie’s gift; a guidebook for teachers to reach that fertile, middle ground in their own classrooms. A teacher since 1973, Nancie wrote the third edition of In the Middle in hopes the weighty tome of over 600-pages could continue to be a valuable resource for passionate teachers. More than 500,000 copies of the first three editions have sold since the book’s release in 1987. This latest version most completely covers the workshop, Nancie’s incredibly successful method of teaching English to middle school kids, that she developed at the Center for Teaching and Learning (CTL), a nonprofit K-8 school in Edgecomb, Maine, Nancie founded in 1990. Her book presents decades of teaching experience, hundreds of student writing samples, and access to the highly successful educational approach that earned Nancie the Global Teacher Prize in 2015 (sometimes termed the equivalent of the Nobel Prize for teaching). So, how does the first member of her family to graduate from college develop from a novice teacher to the best teacher in the world? Nancie admits she did not develop her strategies, philosophies, or achievements in a vacuum. She credits her legacy to books, educators and collaborators who have, and continue to, influence her teaching and thinking. Nancie’s early teaching career was influenced by the work of educator Donald Graves of the University of New Hampshire. Because of Graves’ inspiration as a researcher of young children’s writing abilitiies, Nancie says, “I started reimagining my own teaching, imagining myself doing the same thing as Don with my own students.” His accounts of children as writers transformed her and over time she discovered that opening a world of choice to her students was exactly what a successful English teacher would do. It was their choices of topics they wanted to write about and their navigation through books they wanted to explore that would matter more than her agenda as the adult in the room. Her progression as a teacher was an evolution; a process borne from fits and starts with students. She tells their stories in her book, and she admits there were times when her failures enlightened her to a better way. Real world practice and the insight she found in Graves’ work changed her way of thinking about herself as a teacher. She was moved beyond what she knew of the traditional English teaching classrooms and challenged how she operated so a new method could eventually emerge. Her methods could be equated to what Jerome Bruner calls the “handover phase of learning.” The handover method of teaching involves adult intervention and demonstration, and gradually the expert provides less and less assistance until the learner has mastered the skill for himself. It is a handover of the skills. Nancie teaches this way and the third edition of In the Middle is her handover offering to other teachers. 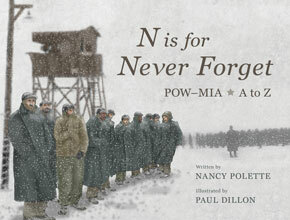 English teachers, Nancie believes, need to be the resource for inspiration and information about that next great read. Success happens with a continued enthusiasm for stories. Providing free choice of books to readers and a legitimate space to explore the world as readers has proven to be the most successful method to establish skill at and enthusiasm for reading. The students don’t all read the same books, yet they navigate the reading workshop that is provided in a classroom setting with a set of rules. The ten rules are simple and include instructions like, “read the whole time” and “read as well, as much, and as happily as you can.” It’s perfectly acceptable for students to abandon books they do not enjoy. She adds, “Teachers need to trust that kids will love books and comprehend them.” And they need to believe that kids want to comprehend them. Nancie encourages her students to read one book at a time. “They need to have coherent literary experiences.” It is what she likes to term “entering the reading zone.” In fact, she gave one of her books for teachers that title: The Reading Zone (Scholastic, 2007). 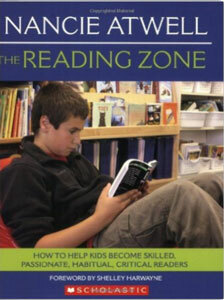 Nancie’s reading workshops allow entrance into the reading zone daily. Each reading workshop begins with poetry. In books, the students roam around on their own journeys, but priming the pump happens when they navigate similar literary geography with the discussion of a daily poem. The unpacking of a poem is a shared experience with literature before the students enter into reading their own books. The rest of class time is devoted to independent reading, with Nancie circulating among the readers and quietly conferring with each student. It’s individual progression in a group setting. Although Nancie’s teaching of reading has spanned the advances of technology, her students still prefer the physical book. Students have experimented with eReaders or Kindles, but their experimentations never lasted more than a week. Glitches in the machines forced a loss of their places in their stories and the kids found that eBooks were harder to navigate than physical books. There is a sense of geography about moving through the physical pages of a book. Readers can see where they are and they can easily flip back to places they remember being before to clear up any confusion. She has an expectation for students to chain-read, book after book after book. Most of the students on this method will read close to forty books in a schoolyear, and the forty books they’ve chosen themselves lay the groundwork for these students to be lifelong readers. Teaching kids to read well is one half of the English teacher’s job, and the writing workshop method is Nancie’s approach to address the other half. Through genre studies of poetry, memoirs, essays, reviews, profiles, journalism, letter-writing, and more, students explore their world as writers. Personal goal-setting is integral to the proven method and though the journey is not replicable from student to student, the workshop structure certainly is. It has been an effective way of teaching writing for years, and Nancie knows that what happens in writers’ workshops is much more than a fad. The benefits last a lifetime. 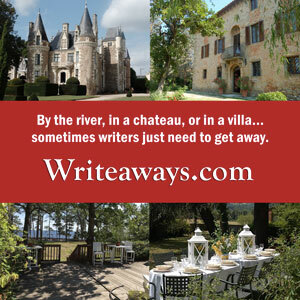 Nancie says, “So far, while only one CTL alum has become a full-time writer of fiction, among the others, an overwhelming number craft exposition on the job every day…Their skills as writers are prized.” They become “niche” writers about those things for which they have an interest. What better way to arm someone for the world than to provide the tools for a voice they can use to communicate their ideas. One middle school student wrote almost exclusively about guitars, in many genres about this same topic, but he was able to show that “he knew how to think on paper,” she says. “That’s what matters.” Today he runs the website of a famous guitar company. Nancie’s approach and successes with teaching earned her the coveted international honor of the Global Teacher Prize. Until the Varkey Foundation contacted her to tell her that a former student had nominated her for the award, Nancie had not heard of the award. She applied because she saw the prize included one million dollars and she recognized there were financial issues for the school she had founded. The Prize was presented to Nancie in March of 2015 in Dubai. Nancie has donated all of the one million dollar prize money to the Center for Teaching and Learning, to be parceled out in $100,000 increments for each of the next ten years. It is guaranteed that a child in kindergarten this year will get through eighth grade because the resources will be enough. “I never considered anything other than giving it (the prize) to the school,” Nancie says. The marked up paragraphs and ear-marked pages of resources on a teacher’s shelf allow ideas to take on flesh. The longevity of Nancie’s book and the interest in her teaching method defends the idea that this is not simply a trend. Readers enter into a book because they hope it will divert and change them. Diving into the pages of Nancie’s book will undoubtedly continue to have the same effect it has had on thousands of teachers already. Although she can always hope, Nancie doesn’t believe her method will ever be a national standard for teaching reading and writing. But her book will continue to provide a resource for teachers who want to be authentic about the way they engage with kids. “This method is for teachers who really know what is important,” she says. “In the Middle is as specific as it is because I want to make teachers feel as though I’m collaborating with them, anticipating their questions and confusions and showing them ways around roadblocks they might encounter. Although I can’t be there, in their classrooms, I hope this will serve as a set of blueprints for creating workshops of their own.” It’s a handover to the next generation of English teachers who are ready to be in the middle of it all.